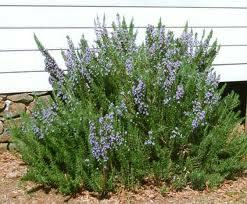 Rosemary (rosemarinus officinalis) is very rich in minerals and is a traditional herb for hair care. Great on itchy, dry scalps. It is used to improve the hair and helps remove dandruff flakes. Thanks to its soothing, cleansing and stimulating properties, rosemary added to a hair rinse will result in brighter, healthier hair. Rosemary has a clear, powerful refreshing herbal smell, is clear in color and watery in viscosity. Rosemary is very rich in minerals and is a traditional herb for skin care due to its soothing and cleansing properties helping to remove oils from the skin.